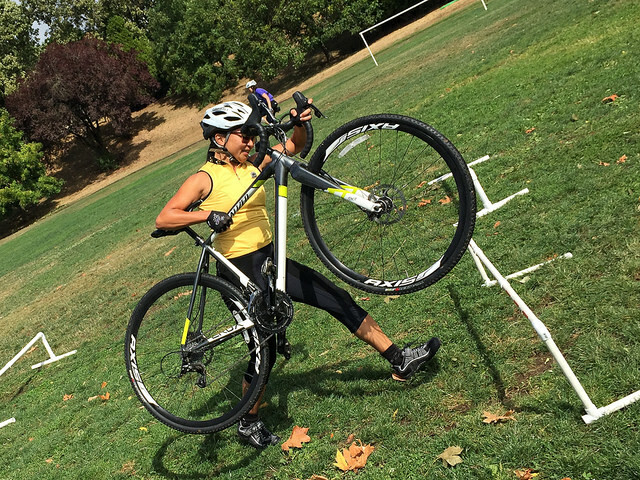 Cyclocross requires good fitness, great skills and consistent race preparation. Join our clinic and learn how to improve your cross skills and race readiness. Want to start your season strong? Feeling a little rusty from the off season? Want to jump in but need some practice first? This is the perfect time to get a pre- season skill tune up or to hone skills before your first event. We keep our rider/coach ratios small to ensure individual attention so that skills can be taught and practiced to meet individual and group needs. Adult men and women. All levels welcome including first timers. We will tailor the sessions to your ability level and split into groups if needed. Meets at The Lumberyard and clinic takes place at Gateway Green. $45 for each clinic or $120 for all three.